What had I done to myself? I allowed stress and worry to overtake me and ballooned up to 247 pounds. I even remember eating 10 rolls in one meal (not to mention all the other food I had on my plate). In 2006, I decided that it was time to make a change. When I started the Spinning program in 2007, I was not only overweight but was wearing a size 18/20. 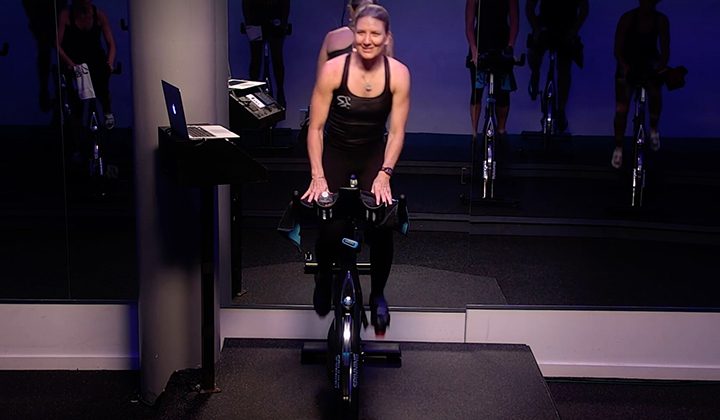 The Spinning program helped my reach my fitness goals. I incorporated it into my workout plan and by 2008, I had lost over 80 pounds and became a certified Spinning instructor that same year. I now teach five classes a week and I’m determined to help others reach their fitness goals as well. Last February, while looking at the cover of People Magazine, I noticed how amazing Valerie Bertinelli looked. I wanted to look like her. I figured if she can do it, so can I.
I was very overweight, unhappy with the way I looked, tired all the time, and never wanted to do anything, using my weight as an excuse. It took a few weeks for me to get motivated, and on April 15, 2009, I finally decided I had enough. I was going to make permanent changes to my life. I started with changing my eating habits to a healthier way of eating. I also knew that just eating healthier would not be enough. Since I had been going to Spinning classes already, but not on a regular basis, I decided to dedicate myself to that too. I started to take Spinning 3–4 times per week. I found the instructors that motivated me the most and stuck with those classes. The weight started to fall off. I was getting compliments. This motivated me more. By November, I was 5 pounds away from my goal. I maintained during the holidays and still have those 5 pounds left. I will get there. Altogether, I have lost 52 pounds. This is by far the best I have ever accomplished. I could not have done it without the motivation and dedication of my Spinning instructors. Spinning was fun and if I don't work out for a few days, I actually feel bad. 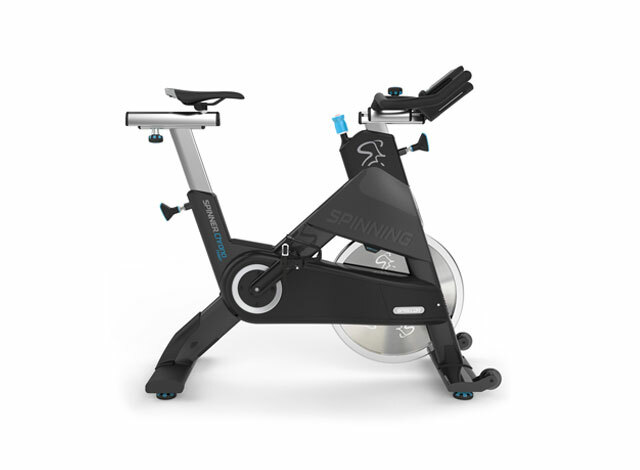 I LOVE Spinning and want to become an instructor. I would love to help others. If I can do this, anyone can. Thank you so much for asking me to share my story. I can say Spinning is the healthiest addiction I could ever have. I gained over 100lb with my pregnancy back in 2002 and have kept it on. Just like any other person, I have tried to diet and exercise with some successes and failures. This time I knew that nothing was going to fail me because as people, we are all endowed with the ability to make change happen. My husband and I started with a Couples Challenge. 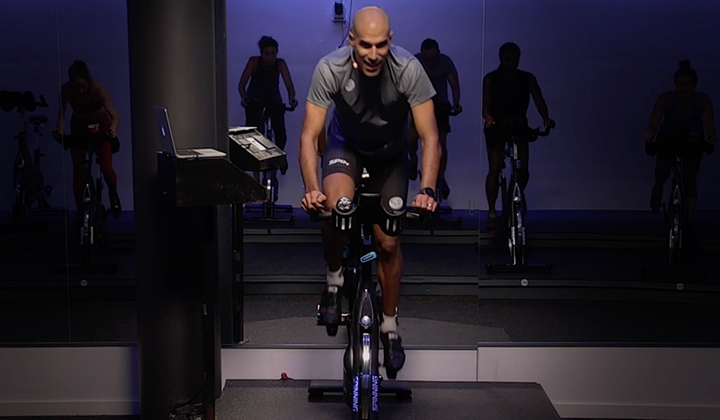 The magic of the "MOMENTUM" was the moment that I sat on a bike in the dark Spinning room with neon lights. The Spinning instructor turned on the music and lead me on a continued journey. I was able to mentally focus and let my mind be free as the intense hour began. From then on, I continued day in and day out one, two, and eventually 3 classes a day. I know that sounds extreme, but thank the momentum of the 43lb flywheel. The first week I lost 4 lb, again I thought this was amazing. I have also actually started to feel stronger. Well then the momentum kicked in to a higher gear and I found myself wanting more results. For the next weeks to come, I attended Spinning class after Spinning class. I have pedaled miles and miles in hand position 1, 2 and 3 with the resistance knob set to "TURN AND BURN." From this, I have achieved results and still have a short distance to go. Every day I have achieved success. 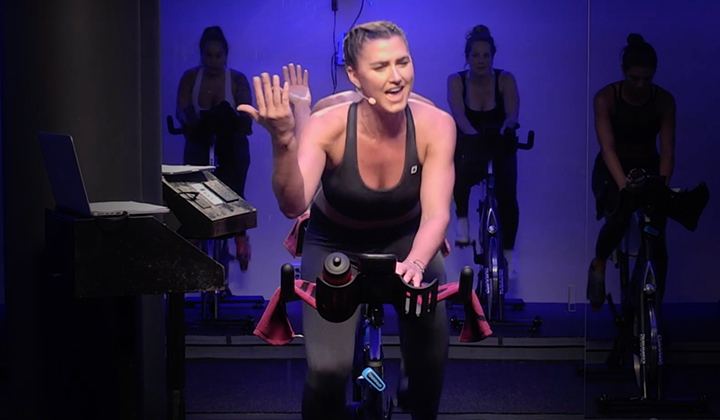 For anyone who has never tried a Spinning class, you must. If you can make it through one, you will find yourself going back for more. I have also incorporated a regimen of weights to build fat burning muscle and a very healthy diet. I have not used any commercial weight loss programs, just dedication to eating healthy, working out, and staying dedicated. If you don't think there is a light at the end of the tunnel: In January, I weighed 212lb; February I weighed 194lb; and in June, I reached 134lb. I HIT MY GOAL!!!! The one thing left I had to do was to get certified as a Spinning instructor. I did that in October of 2008 and it has been one of the most fulfilling things I have done. The best part of this is knowing that there is someone in some class in some place in the world that will have that first experience I did and I know with Spinning instructors around the world are enlightening others just as I have been and continue to do today. As an instructor, I continue to stay true to what I was taught, keep it constantly fresh and challenging with visualization, coaching, cueing techniques, and music that helps you feel the ride. January 2009, I was in a medical center with blurred vision. Come to find out, I was having a diabetic attack that affected my eyesight to the point where I just could not see at all. Once blood glucose levels were improved at the hospital, I did regain sight without any damage. I was 6' 1" and 310 pounds. I started a Spinning class at the local YMCA to get off the needles and pills. I started off slow, but worked my way up to a six day routine of one hour classes; it became a habit. A year later, I am 275lb and pill/needle free. 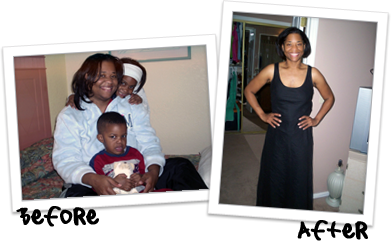 I added Spinning to my life a few months after joining Weight Watchers in January 2009. I had lost about 20lb, but wanted to find an exercise I really enjoyed to bump up my results. I purchased several of Josh Taylor's workouts (a trainer at my gym recommended him), and I am very pleased with my results to date. I have lost 67lb and lowered my resting heart rate to 60 BPM from 72 BPM. More importantly, I feel like a new person (and look like one too!). A big thank you to Spinning, and Josh Taylor in particular, for keeping me motivated on this amazing journey. My wife and I recently purchased one of your Spinner® FIT bikes. My wife Delia has been shopping around for an exercise program that would help her combat her weight problems. Well, your Spinner FIT bike was the answer and a dream come true. My wife has religiously used her new Spinner FIT and your DVD program and has had dramatic results. 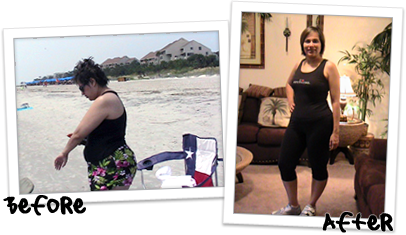 As you can see from the enclosed photographs, she has been able to lose a total of 50 pounds. Congratulations on manufacturing such fine products and delivering them prompty. We will certainly order more Spinning products in the future.